Deciding the right things to make and sell online depends on your goals as well as your situation. Let me explain. If you’re a one-person show, you’ll want to choose something that you know you can handle creating alone. If you have a small business or people who work for you, you might be able to up the ante a bit and scale your business a little bigger. Thank goodness there are websites out there that make it easy to sell crafts and handmade goods online. With the rise of artisans and small business owners, handmade items have risen in popularity over the last decade. Depending on your cost of supplies, there is certainly potential to have a lucrative business selling handmade items. Handmade can be anything from all of the topics mentioned below to crochet items, printables, clay products, leather items, and so much more. You’re truly only limited by your imagination and creativity. The top platform for selling handmade items is no doubt Etsy (read more about how one mom is making money on Etsy here), but there are many others such as BigCommerce, Shopify, and Storenvy to name a few. Here are 10 things to make and sell from home. T-Shirts have become a very popular product to make and sell online, most likely because you can start with little to no cost upfront. Sites like Teespring, Spreadshirt, and Zazzle provide a way to get going designing your own tees and making money right away. Learn more about making money by designing T-Shirts here. Of course, you can also use a local screen printer to create your t-shirts and sell them on sites like Etsy, eBay, or Amazon, but the start-up costs are considerably higher. Plus you may be stuck with any remaining inventory that doesn’t sell. 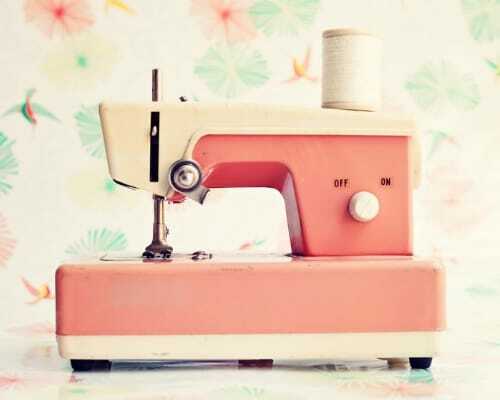 If you’re a talented seamstress, taking your wares online could be a lucrative prospect. Children’s clothing is a popular sewn item, along with wedding dresses. But you can pretty much market anything you can create here; the sky’s the limit. These are great for content creators and small business owners who create their own products. Videos and courses are popular, and you can focus on just about any topic in which you have expertise. The profit margin on these is usually quite good. Sites like Uscreen, Teachable, and Thinkific are good places to consider checking out. Custom made jewelry has developed kind of a cult-like following in recent years. When people like a brand, they tend to stay with it and make future purchases from them as well. People love to have products that are customized for them as it winds up becoming a memorable piece that they cherish. The handmade movement has been great for jewelry artists as customers are shopping small business more instead of big box stores. If you’re a natural born writer (and maybe even if you aren’t), e-books are a popular product to create and are something that can earn you decent money. Amazon is by far the most popular platform for selling e-books, but I know there are a few others such as E-junkie, and Smashwords. Whether you have your own website or sell on sites like foap, photography is a profitable business. You can also sell your photographs at art galleries, and many also have websites for online sales. You can also sell custom portrait sessions for families, graduates, weddings, and more, scheduling online with social media or your website. Handmade signs have seen a huge surge in popularity over the past few years. Just look at popular home decor and design accounts on Instagram, and you’ll see a ton of them. Whether you paint or use stencils, you can create signs from various materials, although wood seems to be all the rage. Tutorials for creating wooden signs are everywhere too, check out Pinterest and YouTube if you’d like to learn how to create signs of your own. This can be a bit tricky as furniture is expensive to ship. But who says you have to ship it?! You can still sell it online by running ads on Craigslist or Facebook and then meet up locally for delivery. I’ve always loved soap. Call me weird, but when I was a little girl, I had a jar of all the different soaps I collected. Some were in the shape of animals, some small flowers. I just always loved the smell. Now as an adult, I’ve seen some amazing homemade soap by talented soap makers. I’m talking everything from yummy scents to soap that looks so much like food, you might be tempted to eat it! Soap can be sold online either on your own website or one of the many listed above. You can even find training videos teaching you how to make soap on YouTube if you’re interested in learning. Related Content: Can You Really Make Money Selling Homemade Soap? If you’re a talented artist, consider selling your artwork online. This can range from paintings and drawings to digital art. Even items like pottery are considered works of art. If you need ideas about where to sell your art online, visit this post to learn more! 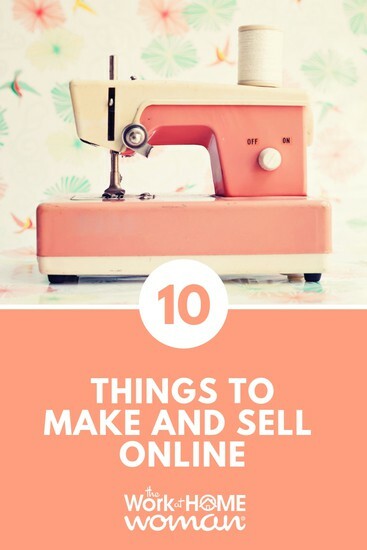 I hope this list of 10 things to make and sell from home has given you some great ideas about how you can start a business, make some extra money, or both! We’d love to hear your thoughts in the comments, and if you found this post useful, please consider sharing it on social media.